Prime Minister Narendra Modi will attend the Gita Aradhana Mahotsav at ISKCON- Glory of India Culture Centre, east of Kailash, New Delhi today. 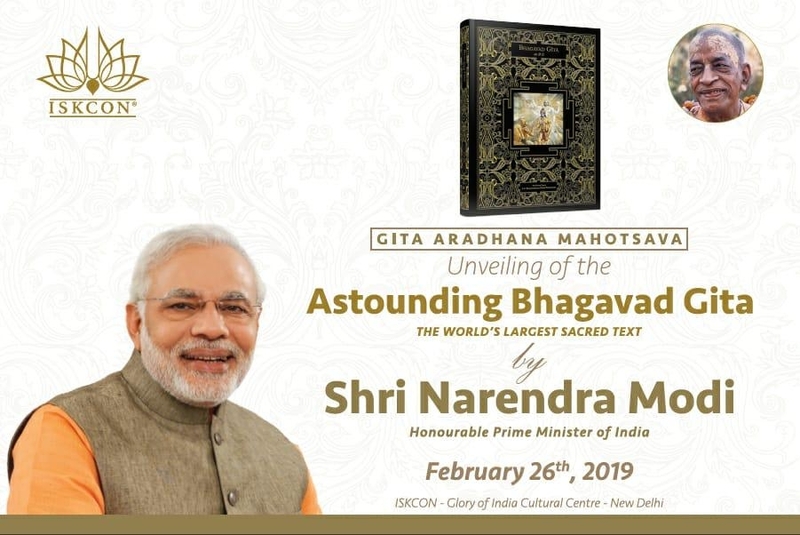 During the event, PM Modi will unveil the Bhagwad Gita, prepared by ISKON devotees to the world. Measuring over 2.8 meters and over 800 kg, the Bhagwad Gita is one of the kind in the world. Where PM will turn a page of the Bhagwad Gita to mark its official opening.